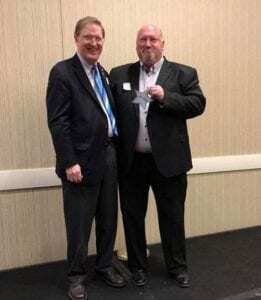 Larry Dimmitt, Rotary International director, recently presented Tim Miller, Gardner Rotary president, a first place award for membership growth in Rotary District 5710. There were seven additional members added in 2017/18. The presentation was at the Annual Rotary District 5710 foundation banquet.